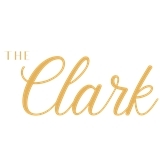 The Clark (Chicago) - Book Appointment Online! OUR BELIEF: When you go to a physician office, above all else you should feel cared for in every way. OUR COMMITMENT: To put care back into healthcare. OUR MISSION: To redefine the entire patient experience in order to offer an unrivaled level of care. Our aim is to make everyone feel cared for every step of the journey through thoughtful design and world-class services. OUR APPROACH: We redefined health care because we came at it from a completely different perspective. We analyzed every touch point and designed an experience that is unique and special to The Clark. Loved, loved, loved it. Dr. Mancuso is a rock-star and the establishment is fantastic. Excellent visit. She was very thorough, engaged, and friendly. Dr. Levenhagen was very knowledgeable & took his time w/ me & asked lots of questions which I appreciated. He also took his time & I didn't feel rushed. The office staff was also very nice & courteous.